Madrid, 26 Feb: Two-day DSM Cloud Stakeholder Plenary in Madrid. The EU Commission has charged the European Union Agency for Network and Information Security (ENISA) with developing a European Security Certification. The European Cloud Service Provider Certification working group (CSPCert) is a private-public stakeholder group for exploring the topic and providing recommendations to ENISA, the European Commission and the EU member states. Comprised of various stakeholders, the working group is being professionally moderated by its co-chair and passionate European Helmut Fallmann (Fabasoft). The rapporteur is lawyer Hans Graux from Belgium (Timelex), who is also a member of EuroCloud CPC. Tobias Höllwarth is a drafting member of CSPCert and represents EuroCloud Europe in the working group. 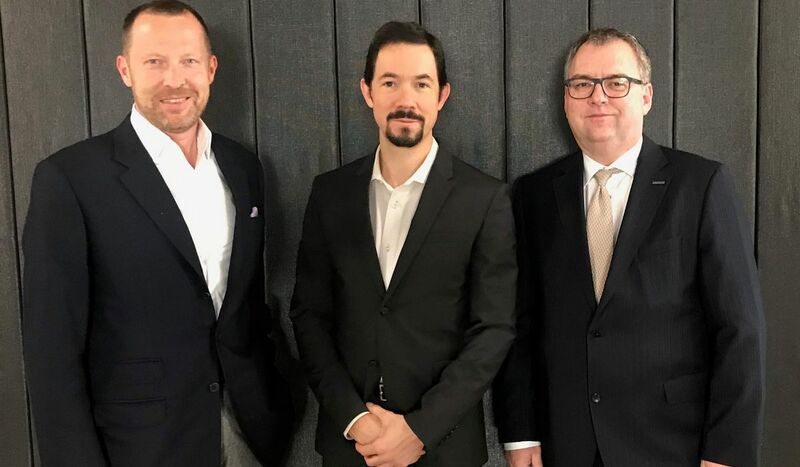 On the photo (left to right): Tobias Höllwarth (President, EuroCloud Europe), Pierre Chastanet (Head of Cloud & Software Unit, EU Commission), Helmut Fallmann (CEO, Fabasoft).